Established in 1987 by Philip Carney, Camsaw Ltd is one of Ireland's leading providers and distributors of garden machinery and equipment and is the official Irish agent of Olec-mac and Weibang garden and forestry machines. Camsaw also manufacture its own Legacy brand of steel deck push lawnmowers. After 31 successful years in business, the family owned company is renowned for providing customers with quality products and exceptional service. Phillip's son, Paul Carney, took over the business in 2005 and explained that this new partnership outlines the future vision of the company. "We are delighted to partner with a company like Pellenc. They have shown that their pathway to growth is through new product developments and innovations. It is an exciting opportunity for Camsaw to partner with a company so far ahead of its competitors in the market." "The market is more open to battery powered products than ever before and at Camsaw we wanted to take our first step into this sector by providing the highest quality product in the marketplace. In our opinion - that is Pellenc." The extensive product range features an impressive portfolio - from chainsaws, pole saws and hedge cutters to grass strimmers, brushcutters and mowers and is unrivalled in terms of performance, lightness and durability. Not only will users be able to comfortably achieve a full day's work without having to re-charge the battery but they will see a huge amount of savings by eliminating the necessity of purchasing fuel. "We feel that Pellenc is the premium product in the marketplace - and we believe that it will be a huge benefit to end users from a safety and performance point of view," Paul continued. "We would like to establish ourselves with dealerships in Ireland and really become the go-to company for professional battery powered products, particularly with the likes of local councils, contractors and professional landscaping and maintenance companies." Stephen Muir, Etesia UK's business development manager, commented: "We are delighted with this new partnership. Camsaw is an established business with a large dealer network within the country and is a well-known and respected business. 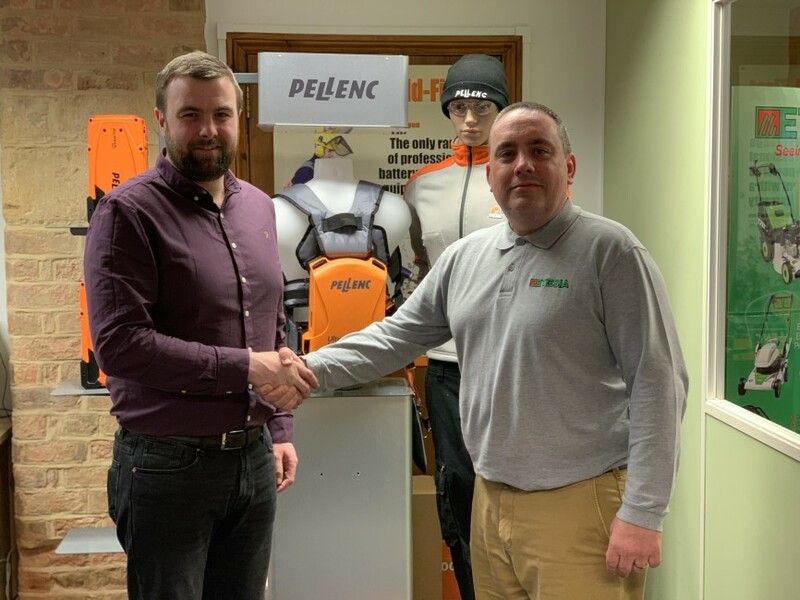 We want to be associated with a company that can successfully promote and enhance the sales of Pellenc equipment in Ireland and we very much believe we have that in Camsaw." For more information about Camsaw please visit www.camsaw.ie.